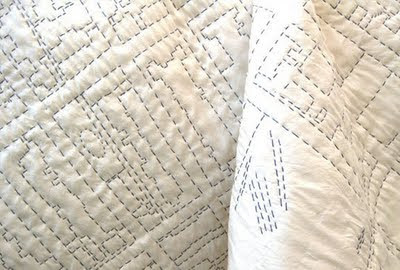 I just discovered the quilt work of Emily Fischer (thanks Apartment Therapy!). 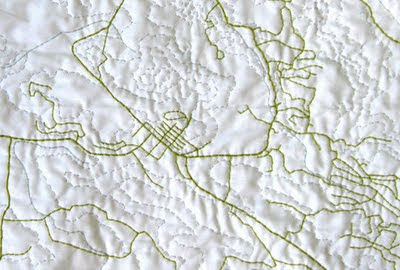 Her pieces join my love of travel, maps, graphic patterning and unique, comfy bedding - truly inspirational! I particularly love the topographical mapping implemented in the bottom piece. 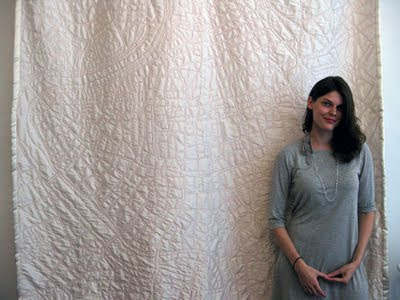 At several thousand dollars for a queen-sized piece, I am pretty sure Emily's quilt will stay on the wishlist for a while, but for now you can check out more of her work here.